The International Live Event Association (ILEA) was founded in 1987 under the name International Special Event Society (ISES) to foster enlightened performance through education while promoting ethical conduct. ILEA works to join professionals to focus on the "event as a whole" rather than its individual parts. Membership brings together professionals from a variety of special events disciplines including caterers, meeting planners, decorators, event planners, audio-visual technicians, party and convention coordinators, educators, journalists, hotel sales managers and many more professional disciplines. The solid peer network ILEA provides helps special events professionals produce outstanding results for clients while establishing positive working relationships with other event colleagues. 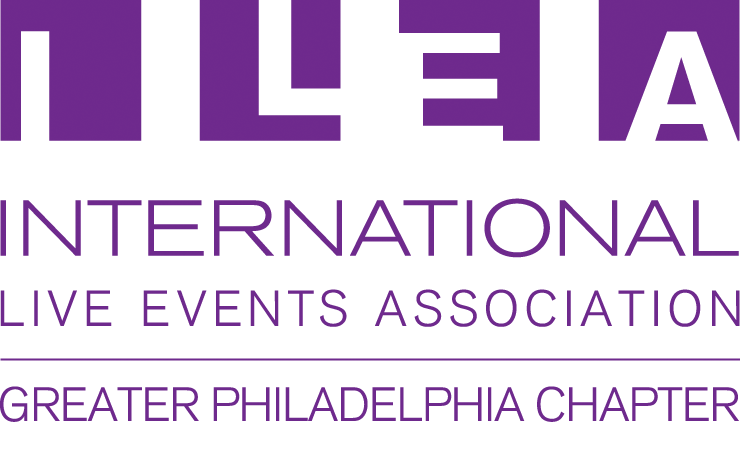 ILEA Greater Philadelphia, the founding Chapter of the organization, has developed a strong focus on providing top education opportunities for all members and special event professionals in the Philadelphia market. Each year, ILEA GP hosts eight educational meetings, 1 social networking mixer, 2 special project events (Annual Jingle Jam and Liberty Awards Gala) and 2 Members Only events to continue to nurture relationships and referrals. Throughout the year, the Chapter works to support local charities and the SEARCH Foundation, along with provide special educational scholarship opportunities for our Members to promote continued education. Each year, we also acknowledge leading event professionals through our annual Liberty Awards where another ILEA Chapter judges their entries and selects the winner of each category to further celebrate our Members achievements throughout the year. The Chapter is run entirely by a member-elected Board of Directors, who report directly to ILEA HQ, completely on a volunteer basis.